Stable Cottage is a converted sandstone farm building with a traditional red pantile roof. It has two spacious bedrooms sleeping four people and overlooks its picturesque and quiet rural location. Stable cottage provides an excellent base for all that Northumberland has to offer - the ideal location for a holiday. Through precise attention to detail our designer has created a comfortable, contemporary interior which blends past and present and promises that perfect opportunity for a fun family holiday. This holiday cottage benefits from allocated parking space to the front with access through the porch in to the lounge. The grounds that surround the cottages have been landscaped to provide adequate leisure space. There is a separate, fenced paddock area, making this the perfect safe and secure area for children and dogs to run around, to play games and have loads of fun. Garden furniture, games and a barbeque are provided for everyone. Just sit back, relax and enjoy. 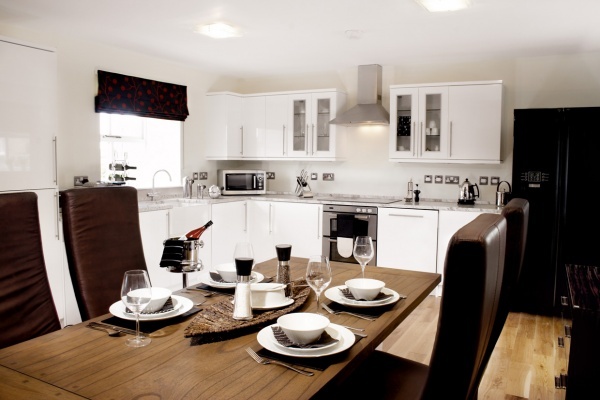 The rural setting offers delightful views across the open countryside. Stable Cottage is part of the Bamburgh First Dukesfield collection and therefore has access to the newly built Gathering Place where you can play games on the wii, table tennis or sit and read a book. For more information about the Gathering Place pleaseclick here. There is also a new tennis court, children's play area and hot tub now exclusively available to guests of Bamburgh First at Dukesfield. The attractive living room incorporates the dining room and provides a superb space. 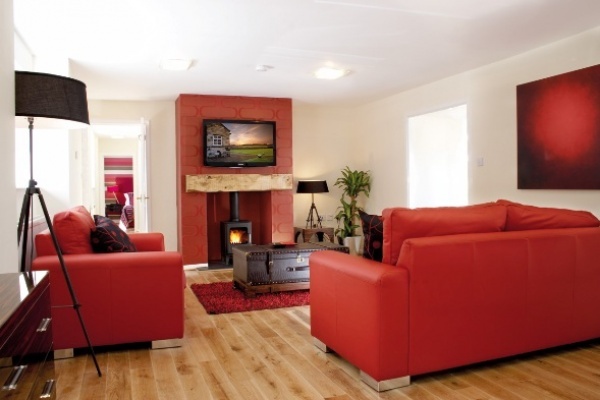 The ground floor boasts real wooden floors, a log burning stove, a large flat screen TV with full Sky package, free WIFI connection, telephone, large comfy sofas and contemporary furnishings. Meal times are on a large, natural wood table seating four. The kitchen is very modern and well equipped with all the accessories you could ask for including a stylish cooker and hob, dishwasher, washing machine, microwave and an American fridge and freezer. The ground floor Master Bedroom has an overall striking design and comprises a Kingsize bed, bedside drawers with lamps, vanity console with wardrobe and a wall mounted flat screen TV with the full Sky package. From the porch via a half glazed door there is access out on to a small enclosed garden area and from the hallway and the kitchen two fully glazed doors lead onto the interior courtyard. 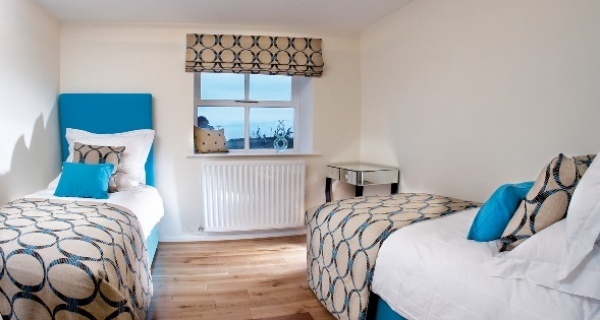 The Blue Bedroom is a delightful room with luxury single beds which is perfect for children. This is a very light, front facing room with luxury single beds, bedside table with lamps and bespoke wardrobe. There is a good sized family bathroom, tiled throughout with a tasteful white suite including a bath and a walk in shower, provisions for an electric shaver. Upon request: private chef, guided Northumbrian safaris, food delivery,weekly maid services, mid week linen change. Please note: additional costs apply. 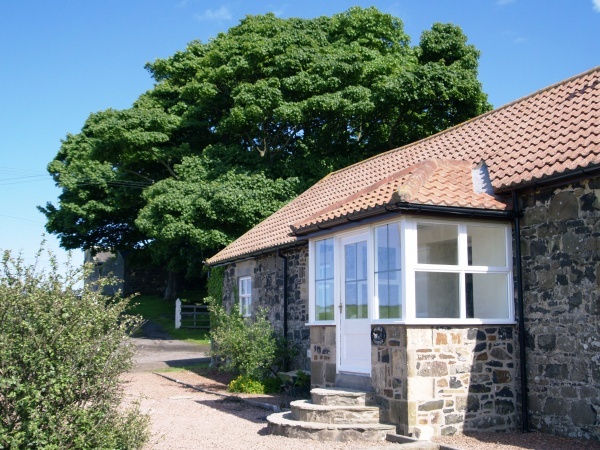 Stable cottage is very well situated for touring the Northumberland coast. It is in Belford which is an interesting village. The layout is very good, and the beds and bathroom were good. It is clean, quiet at night and the wildlife and farm animals etc were interesting. I do feel though that it needs some TLC. The DVD was used during bad weather, and proved to be difficult to use even with following the instructions as it didn't work the way it should have done. We are used to DVD players which made this one frustrating to operate. We didn't like the mix of drinking mugs. Some of the crockery is chipped and needs throwing away. Likewise with some cooking items. The toilet seat needs replacing with a white one. These points are small and easily fixed to make the cottage great again. Overall, the cottage was slightly disappointing, but it is well located and we enjoyed our holiday. Very comfortable conveniently located cottage. Well equipped comfortable cottage with a nice sunny patio. Easy access for all of Northumberland and the borders. Owners kindly and quickly forwarded some items we carelessly left behind.